The Financial heartland of Germany boasts some of the country’s best museums with some of the world’s best collections of coins and medals. Michael Alexander of the London Banknote and Monetary Research Centre visits Frankfurt’s Historical Museum while they ready themselves for a spectacular renovation and addition due for completion in the Spring of 2017. 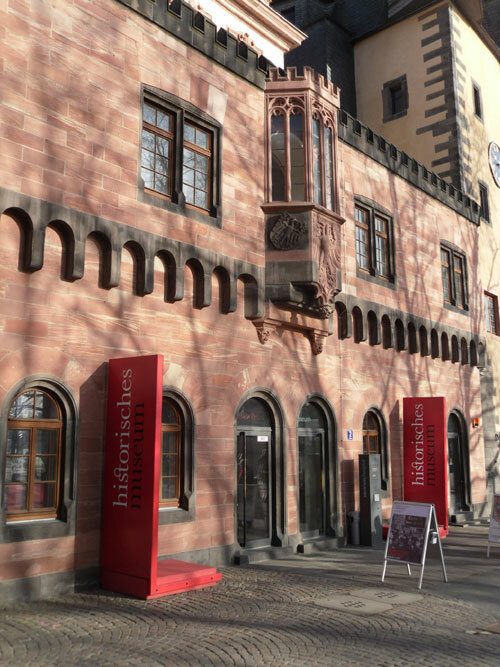 The entrance to the Frankfurt Historical Museum, located just between Romerburg Square and the Main River. Frankfurt, with its long and noteworthy history as a city of finance and commerce stretching back to the times of Charlemagne, has continued that tradition through two occasions of German unification & reconstruction after two world wars. And, of course aside from being the seat of the German Stock Exchange, the DAX, this extraordinary city was named the home of the Deutsche Bundesbank in 1957 and the European Central Bank with the advent of the EU’s single currency, the Euro. Although the city has played a remarkable part in the financial life of Germany and even that of Northern Europe, there is also another side to this Free City, as it was once known. 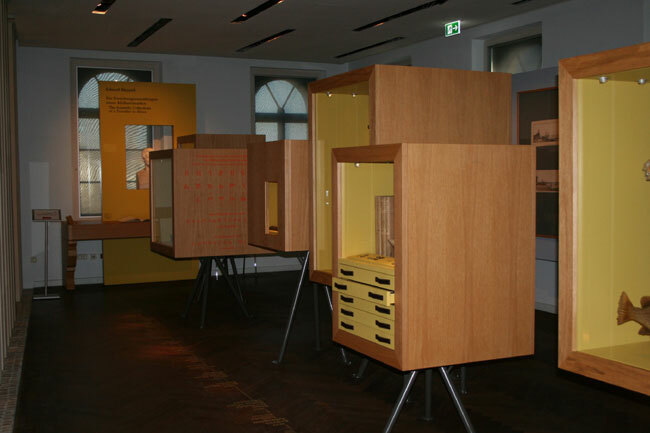 The Frankfurt Historical Museum (FHM) includes many artifacts which chronicle not only the annals of the development of Frankfurt literally over the centuries but also that of Germany itself. Of particular interest to a “numisma-tourist” like myself are the amazing collections of coins on display and the span of time they represent. What’s even more exciting about the FHM is that they are undergoing an extraordinary transformation which when completed in two years, will significantly increase the exhibition space and enable the Museum to showcase so much more than is currently on display at present. 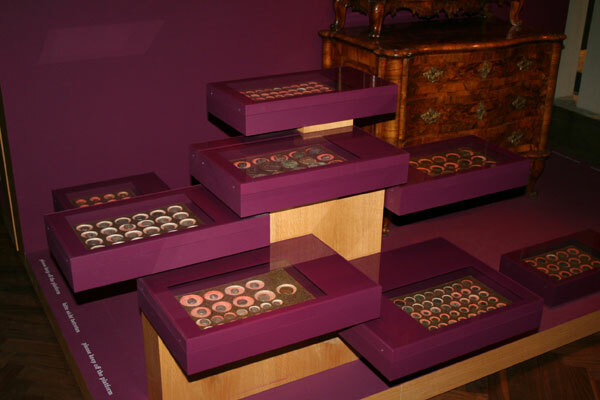 Currently, the coin collection is displayed over several floors and divided into key sections which includes Egyptian, medieval, Empire & modern and exhibited in cases and drawers which allow for ease of viewing. 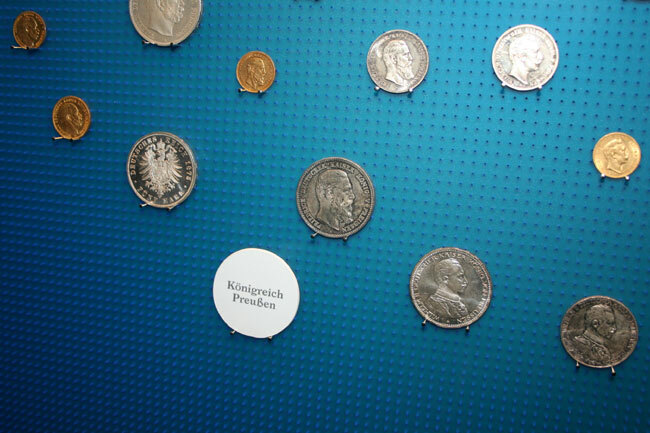 There is also an interactive section which highlights those more noteworthy benefactors to the Museum and whose collections of coins are now featured. 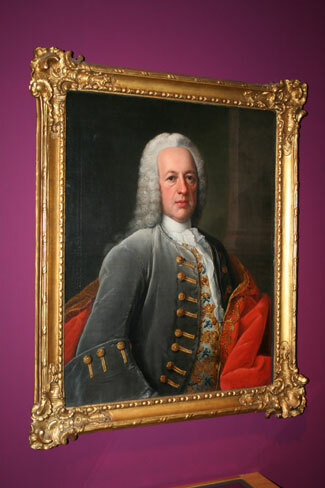 Benefactors, Heinrich Bernhard (1691-1752) & Catharina Elisabeth (1696-1749) von Barckhaus, both passionate coin collectors whose collection of Greek & Roman ancient coins as well as the wooden cabinet which housed their collection is now part of the collection of the Historical Museum. 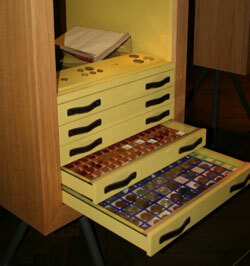 Many pieces of the von Barckhaus collection are on display along with their priceless coin cabinet. As a frequent visitor to Frankfurt, most recently to attend the unveiling of the new €20 “Europa” series banknote at the European Central Bank, I took the opportunity to visit one of my favorite museums – not only to refresh myself with some of their outstanding displays, but to see the structural changes which are currently underway. Gone is the modern grey annex which was built in the 1970’s and considered by many as being somewhat stark and unfriendly and in its place, a more suitably constructed and designed multi-level structure which will blend in more appropriately with the old-world charm and architecture that is Frankfurt’s Römerberg Square. Seat of the local government since the 15th century, The square, once considered the most beautiful square in all the Holy Roman Empire and of the German Nation is adorned with a statue of Justice with unbound eyes, a scale and sword which was the first public fountain in Frankfurt. The museum’s curator of Numismatics, Frank Berger, who kindly accorded me a personal tour of the many displays has been at this post since 1998 and has an extensive background in Archaeology. He has published articles on numismatics and polar research and is a corresponding member of the German Archaeological Institute. His main area of ​​research is in the field of excavated Roman coins. During now and until the opening of the Historical Museum’s new annex, the FHM is open as usual and welcomes you to view not only the coin and medal collection, but all of the exhibitions and to enjoy part of the city which is truly everything you ever wanted to know about Frankfurt conveniently under one roof! 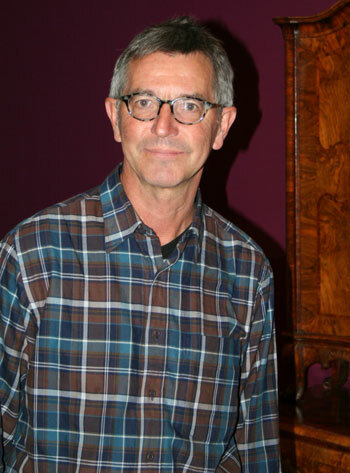 Numismatic Curator Frank Berger, who has been with the Frankfurt Historical museum since 1998 and whose responsibility it is to look after the Museum’s extensive coin & medal collection. MA: The Historical Museum in Frankfurt has been a favorite place of mine for quite some time so I’m glad I’m able to visit today. There is a very important part of the museum which is very historical in itself, can you give us a little background on the older buildings of the museum and how long the Museum has been in existence..? FB: The whole museum as we know it today consists of a complex of a total of five older buildings. The Staufer time palace built around the year 1290, the city wall edge tower built in 1450 and often referred to as the Rententurm, the baroque Bernus building built in 1710, the so-called Burnitz building built 1840, and the Toll building built in 1840. The museum itself was founded in its own right in 1878 but there were predecessor institutions. It was the former city library which, since 1530 included not only books, but also precious and strange objects were kept by the library, which belonged to, or were donated to the city of Frankfurt and this is where we originated from. MA: Much of the City was devastated during the last war, and there is a very stark reminder of its destruction on display on one floor of the Museum which also shows the remarkable transformation Frankfurt has undergone since, can you describe the amount of time it also took the Museum to recover? I understand only a small portion of the present building was unaffected. 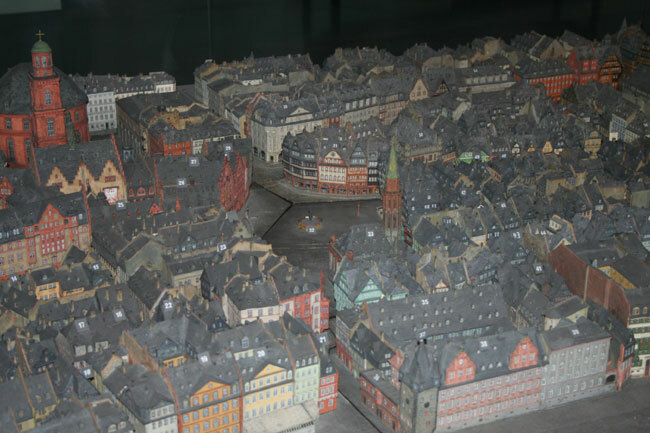 FB: After the Second World War, up to 90% of the city center of Frankfurt had been destroyed and you can see the devastation in one of our models on display. Only the walls of the museum’s buildings survived which make up the present museum. In total, we needed 15 years to restore the destroyed original houses. During the Second World War, the objects of the museum were deposited into salt mines in the surrounding areas and they were recovered after the war without any losses. However, in the early days of the war, the practice of hiding artifacts was considered as an indication of defeatism and it was strictly forbidden. It was the responsibility of the then-Director, Count Ernstotto von Solms-Laubach, to commence with the rescue and recovery of the objects. Luckily, only a little effort was needed to restore the objects themselves afterwards. 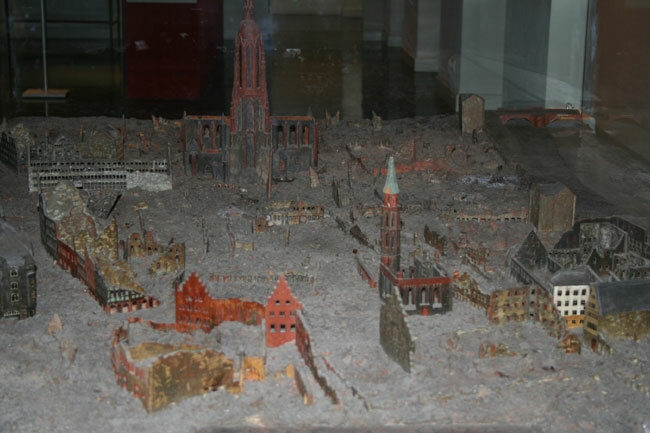 Models of the city of Frankfurt before 1945 and the aftermath after the conclusion of fighting of the Second World War. MA: There are some extraordinary changes happening to the Museum as a whole, I see one building of the museum is no longer here and another already impressive structure is being built, can you tell our readers about the project and how will it affect the numismatic collection..? FB: The last addition to main building of the Historisches Museum was inaugurated in 1972, but it was taken down in 2008 because according to public opinion, it was too ugly. We are right on schedule to building a new and modern museum in the same place as the previous structure, with the grant of money given to us and the project by the tax payers of the city of Frankfurt. The new permanent exposition, which will be open in 2017, will show the numismatic collection on 500 square meters in the first floor. But not only coins and banknotes will be on display, we intend to include a comprehensive exhibition of the history of Frankfurt as a banking center as well. 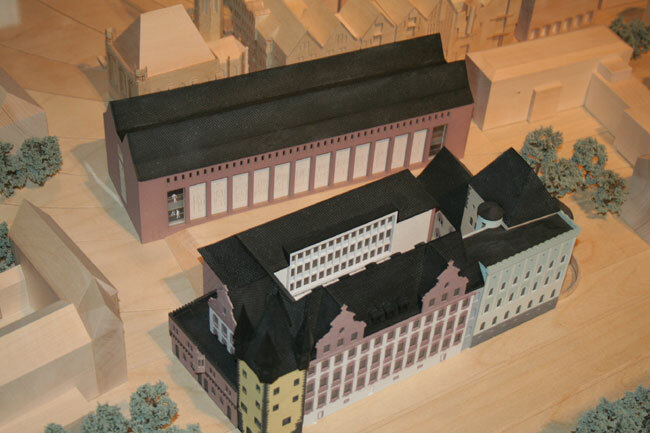 Model of the new addition currently under construction, the new addition will be adjacent to Romerburg Square. MA: With these ambitious plans currently underway, and with so much space dedicated to the Museum’s numismatic collection, will the Museum have space to host the collections from other Museums..? FB: With a space of 500 square meters, this represents one fourth of the space of the whole museum and that means that the numismatic collection will have a prominent presentation. 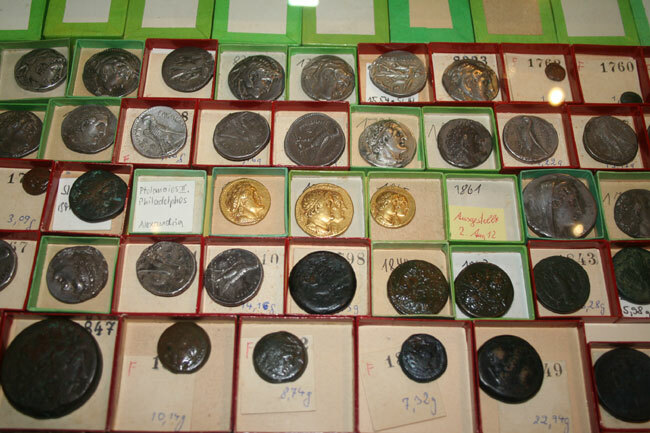 We will show about 4000 coins of all German principalities and all centuries from 8th century on. Of course we will be able the make special expositions concerning different topics of monetary history. For this purpose, we will have a special exhibition room of 800 square meters. MA: As with many museums, the historical museum has benefited from various donated items over the years and I understand that is no exception especially where the numismatic collection is concerned, can you tell us about some of the more outstanding collectors who have enriched the Museum’s collection..? FB: In common with Berlin, Vienna and Munich, we have the best collection of coins of the German principalities in existence. There was one private collector, Ernst Lejeune (1870-1945) who was a very rich man and never married. During his lifetime, from 1900 to 1935, he acquired nearly every rare German coin obtaining them from both coin dealers and auction houses and altogether, he amassed 40,000 coins and the Museum has benefited from this donation. Another collector donated to us was a collection of the imperial coronation medals. Concerning the city of Frankfurt, we have all Frankfurt coins produced including medals and banknotes which exist. MA: Can you tell us about how many numismatic pieces are included in the collection and how far back the collection spans? I understand the museum has one of the most concise collections of Egyptian Ptolemaic coins..? FB: Yes, Egypt is a special field within our collection. Due to the extraordinary activities of Eduard Rüppell (1794-1884), a famous explorer and traveler in Egypt, Sudan, Eritrea and Abyssinia or present-day Ethiopia, we have a large and comprehensive collection of Ptolemaic coins as well as coins from the mint in Alexandria during the Roman Imperial era. It is also interesting to note about Rüppell was that he was the first non-British explorer ever who received the Gold medal of the Royal Geographic Society in London and – we have this medal on display! The collection of Eduard Rüppell (1794-1884) is housed on one floor and situated together in drawers and cases. Many of the coins on display include priceless Egyptian pieces Ptolemaic dynasty. Gold, silver and bronze pieces include the coins of the last Ptolemaic pharaohs including the coins of Queen Cleopatra. MA: Frankfurt also has a long history of finance and commerce, Charlemagne himself was also familiar with this area and of course, both the Deutsche Bundesbank and European Central Bank call the city of Frankfurt home. Will the new displays pay greater attention to this important element & connection of Frankfurt & finance and if so, how will this be accomplished..? FB: By chance, Charlemagne did hold an Imperial assembly in Frankfurt in 793 AD. As a result of the consultations, he introduced a new money or coin for use in his empire. This coin was the Imperial penny of which 12 of them made up one shilling and 20 shillings making up one pound, something which British readers will find familiar to them. Our display starts with this new penny of Charlemagne of 793, then we include the wide spread German coinage from the middle ages right up to and including the different steps of monetary unification. Monetary Union for Germany began with the Munich treaty of 1837, and in the year 1871 the German Mark was introduced throughout the new German Empire unified under the Prussian King Wilhelm I and finally, the Euro which was introduced in 2002. A portion of the collection of bequeathed by Frederich Ernst Roessler (1813-1873) includes many rare and flawless examples from the German Empire. The Rosseler family were very prominent within the Degussa Refinery of which several minting and refinery implements are on display. 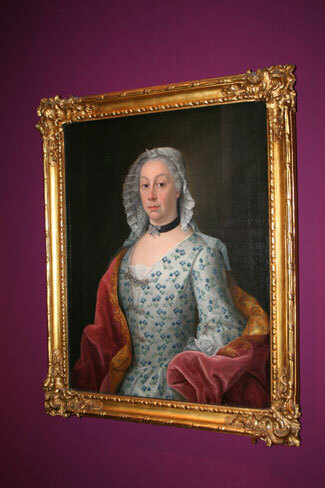 MA: As with many Great Museums of the world, there are some pieces which stand out more than others, in your opinion as Curator, what one item should a visitor to the Frankfurt historical Museum see before they leave.? FB: If you are a collector of 19th and 20th century German coinage, you should not miss our exhibition of every German coin minted within the “Mark” currency between 1871 and 2002 which is complete. The Egyptian Coins are also outstanding and the huge quantity of the finest and rarest coins of many German principalities from ca. 1500 to 1700, all of these coins are a “must” to see before leaving. MA: I look forward to the inaugural opening after the renovation is complete and perhaps I can take my readers on a tour of the new Historical Museum of Frankfurt then, Mr. Frank Berger, Curator of the Museum’s Numismatic collection, thank you very much for your time today. FB: Thank you for visiting today. Photos courtesy of Michael Alexander – LBMRC UK ©2015.